While ozone gets a bad rap for its association with pollution (it is actually caused by pollution interacting with heat and light) and excessive amounts or too much exposure seem to cause breathing problems in some people, it's highly useful in other situations. In Europe, thousands of medical doctors use ozone for therapeutic purposes. Their key is bypassing the lungs; they inject it directly into the blood for purification purposes. In 2012 I got involved with a brand of ozone products and started using them around the house and discovered just how great they are. Friends know that we had some carpet stains from a dog that we couldn't get rid of with any other product. But we took some ozonated water to the stains and they lifted out in minutes. It is known that ozone disinfects (kills microbes like bacteria and viruses), which is why it's such a great tool in hospitals and hotel laundry, though you can't make claims of it killing 100% of anything, since that depends on water temperature; ozone production; amount of product or area being disinfected; and so on. But basically, it's a good old killing tool. So after seeing it work on the carpet, I've begun using it to clean parts of the bathroom as well. That can save you money on cleaning products, and it doesn't release any chemicals into the environment. We also regularly use ozone now to clean our fruits and vegetables. You can also use it on meat, but beware: you don't want to see what comes off the meat before you eat it. If your stomach is strong enough to see it, though, you'll be glad you cleaned it with ozone. Ozone Fridge Purifier -- designed to improve the smell of the fridge and make fruits and veggies last substantially longer, as the ozone reduces the gas emitted from by produce that normally rots the fruit. So the ozone slows the ripening / rotting process. Ozone Water Ozonator -- this can be used to ozonate water that you can then use for cleaning fruits and veggies ... and actually, you can clean meat this way as well. (Some people also drink this water, but research this and decide for yourself before deciding to do so.) They also have versions with bowls and lids that will keep the ozone smell inside, but this also means finding room for one more item in your kitchen. The first one I've linked to here hangs on the wall and is extremely easy to use. My favorite ozone product, though, is an ozone laundry system. Like I said, hospitals and hotels use ozone to clean laundry, but until now, units have been too big for home use. Thanks to technology making things small, though, you can now buy home ozone units on Amazon. Basically, you'll still need to pretreat your laundry, but you can eliminate detergent (or some people just dramatically lower their use of it) and start washing in only cold water -- this can save an average family of 4 at least $200/year while eliminating exposure to toxic detergents and using less energy because you're not heating water. The only downside I'm aware of is that in rare, rare instances, the ozone can react with chemicals in someone's water and cause a bleaching effect. We were one of the few to experience this -- in fact, we were fine for years, then started having some problems. So we had to only use this with our white laundry. But we know the people behind a couple of the top brands, and almost no one has run into this, and I don't think you'll see anyone comment on this through Amazon reviews, where you're generally seeing 4+ stars. I recommend finding something with at least a 2-year warranty and that produces at least 600 mg of ozone. Hotels and hospitals have long used ozone for laundry. Eliminates the need for soap and hot water while cleaning and disinfecting. 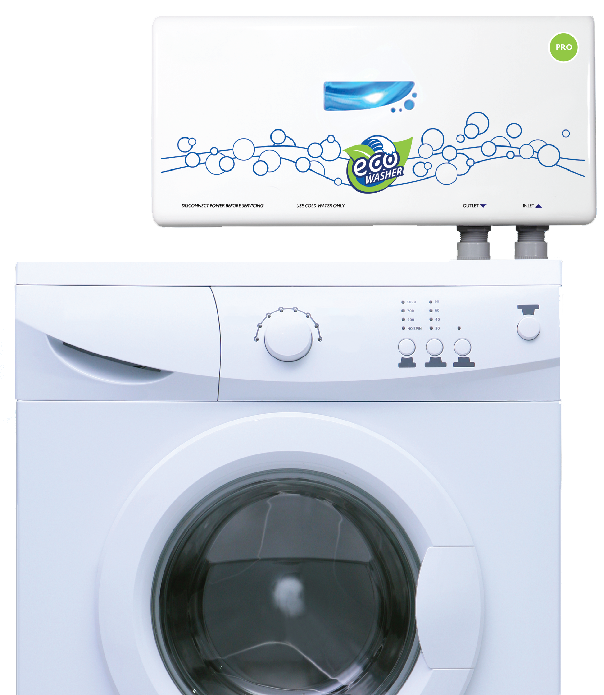 Now you can do ozone laundry in your home.